Itâ€™s a somewhat loaded question, but it has a pretty simple answer. 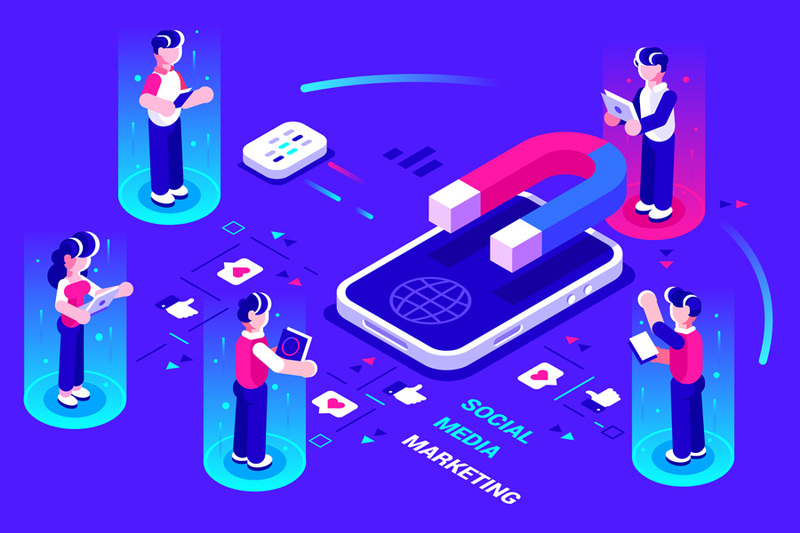 SMM is any form of marketing that involves creating content specifically to share on any of the social media platforms. Whether itâ€™s sharing a picture of the companyâ€™s Friday drinks to Twitter, keeping your vacancies updated on LinkedIn Jobs or investing thousands in a targeted Facebook campaign, theyâ€™re all forms of social media marketing. Almost all of your customers, potential partners and rivals will already be content sharing on social media daily, so you should be too. With estimates that there could be almost 2.8 billion people using social media by the end of the year, if youâ€™re not taking advantage of this kind of digital marketing, then you could be missing out on a significant audience. Even if you already have established social pages, itâ€™s always good to sit down and make a proper social media marketing plan. As with any area of business, if you dive in without a clear plan or goal, youâ€™re going to end up lost. Who are your target demographics? Which social media networks would work best for your business? Answering all these questions will start you off on the right foot. For example, if your main goal in to drive more sales and your target demographic is younger people, youâ€™d focus on platforms that would benefit that goal and audience i.e Instagram. If youâ€™re more focussed on building B2B connections and showcasing your companyâ€™s work, then a LinkedIn profile would be your best bet. Most businesses should at least have a Facebook page. As the platform with the largest user base, itâ€™s often the place consumers will look first to find out information about a business. If your page is outdated, baron or messy, unfortunately itâ€™s going to reflect on the quality of your business as well. Luckily, creating content for your social pages doesnâ€™t have to be a difficult task, as long as you're making sure each update is optimised for the platform itâ€™s being posted to. There are more social platforms than you might think, each one with a different kind of advertising opportunity. Facebook. With the largest user base, itâ€™s an excellent place to start. Currently, it has more than 65 million businesses using it and over six million advertisers promoting pages on it. This platform works well for most forms of media, including text, video and picture, but keep in mind that its algorithm prioritises posts that create actual organic dialogue and interactions from users. YouTube. Getting over one billion hours of views every day, this is the platform to use if youâ€™re planning on creating a lot of longer video content (above one minute in length). Itâ€™s also known as the â€˜second largest search engineâ€™ after Google so if youâ€™re using it, make sure to be aware of YouTube SEO. Instagram. THE picture sharing app at the moment. If youâ€™re going to be prioritising images and short video content, then Instagram marketing is for you. Owned by Facebook and using similar advertising tools, business profiles can give you a real in-depth look into your pageâ€™s statistics, including which of your posts are resonating best with your audience. Twitter. A much faster-paced social environment, this is the leading social network where people go for news and to try and actively communicate with brands. Many will message a business on Twitter rather than calling if they find something wrong with the service, so this is an excellent platform for communicating with your consumers. LinkedIn. This platform has evolved a lot over the past few years. So much more than just a job site, now it has a reputation as the social media website for businesses and professionals. It focusses on showcasing a brandâ€™s achievements and helping connect people and businesses in a more professional setting. No cat videos here! Snapchat. Used mainly by younger audiences, itâ€™s another fast-paced platform focussing mostly on instant video and picture sharing. Although fairly new to the advertising front, itâ€™s been proving successful for brands who can create tightly edited videos and images to share, as well those who have been building custom filters and lenses. Weâ€™ve barely scratched the surface, with platforms like Pinterest, Tumblr, WhatsApp etc. also offering opportunities for businesses and advertisers. Make sure to do as much research as you can into many and test out a few different platforms to see which work best for your business. Plan your content. A fairly obvious one, but planning ahead is always best, so you know what is coming up for your pages. Researching keywords is a great idea as then you have a strong foundation of topics that people will be interested in reading about/looking at. Keep a consistent brand image. Nothing can ruin a page faster than it looking messy. For a business page, you want to keep a consistent image and tone that reflects your brand. While each platform is different, keeping your colour-scheme and message on brand will look much better overall. Tracking your competition. Plenty of social media business tools let you keep track of your competitors and how well their pages are doing. Keeping an eye on them will give you valuable information on keyword research as well as trends you may have missed. Just make sure not to copy anything they do too closely. While they say imitation is the greatest form of flattery, your brand won't look like a leader if itâ€™s copying its peers. Using social media analytics- Most social media business pages will have their own analytics pages for you to keep track on, but a lot of third-party tools can be great at getting more detailed insights into your pages. Some can even track links so you can see which posts are sending people to your landing pages and which ones arenâ€™t doing so well with your target audience. At the end of the day, social media marketing doesnâ€™t need to be confusing, but it does need to be done well. Just having the pages isnâ€™t enough. They need to be nurtured with consistent and frequent posts as well as your avatars and finer details being changed every now and then to show to that youâ€™re on top of your SMM. Make a plan, create some well-crafted content and keep an eye on what does well. Youâ€™ll have a great social content strategy in no time. Is it Still Possible to Build Your Own Social Network?